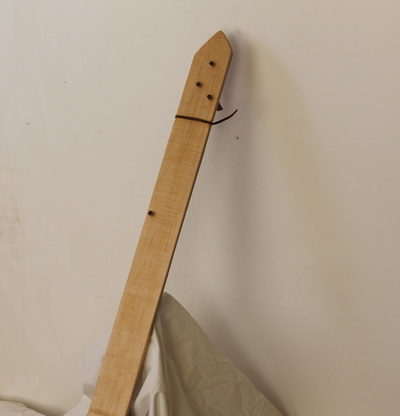 This historical recreation banjo features a flat neck, flowerspot soundholes, three long strings and one short 'thumb' string. 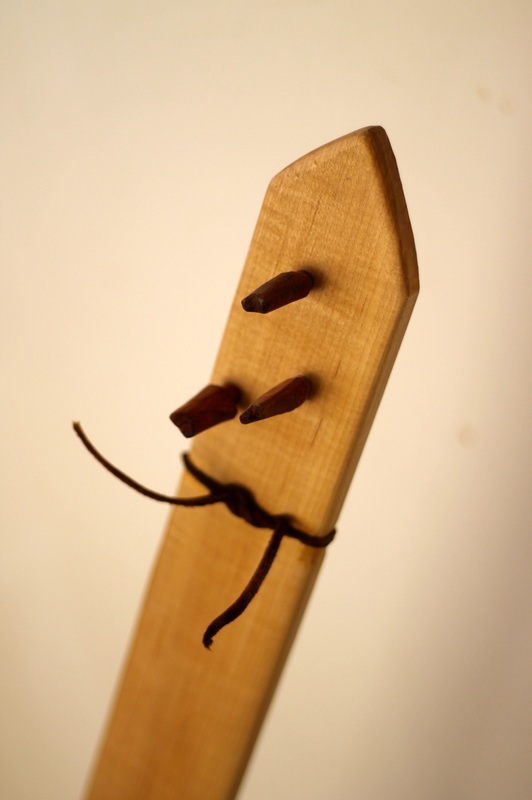 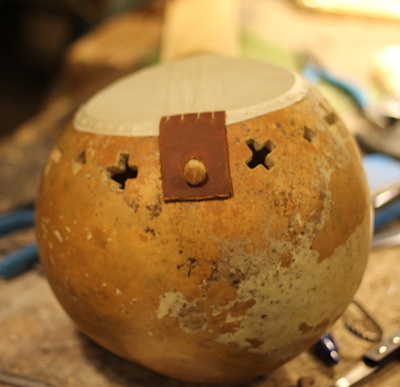 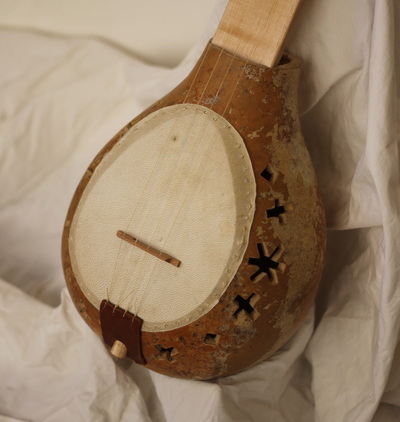 This recreation is based on the clearest image of an gourd banjo from the early United States. 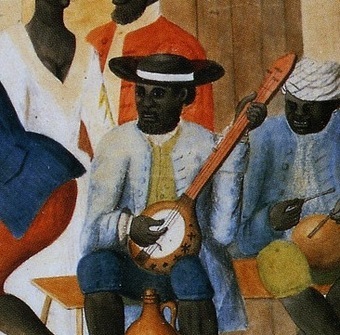 There are few missing details from that painting. 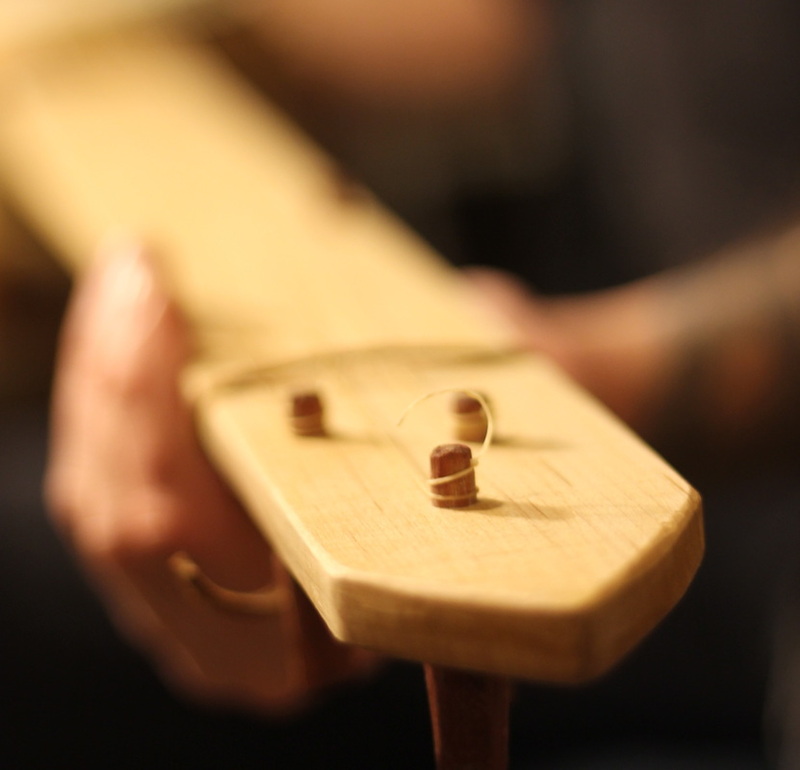 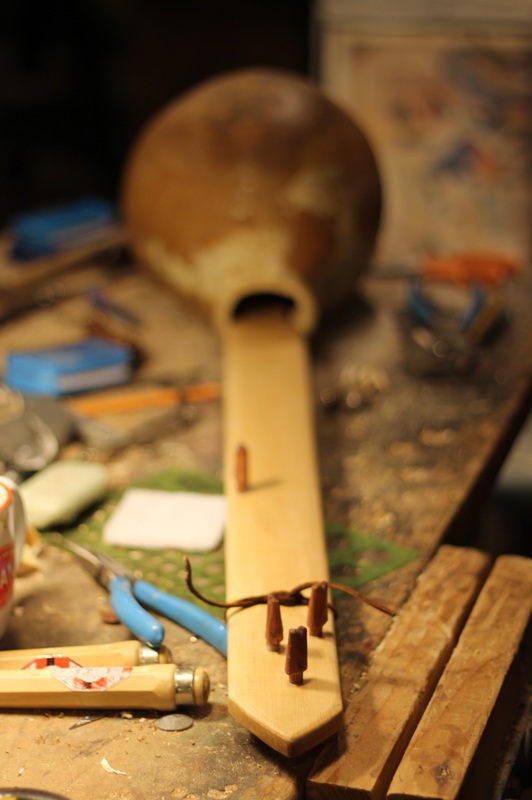 Since the re-discovery of the Haitian Banza in 2003, Pete is able to use details from that instrument to complete the "Old Plantation" Banjo. 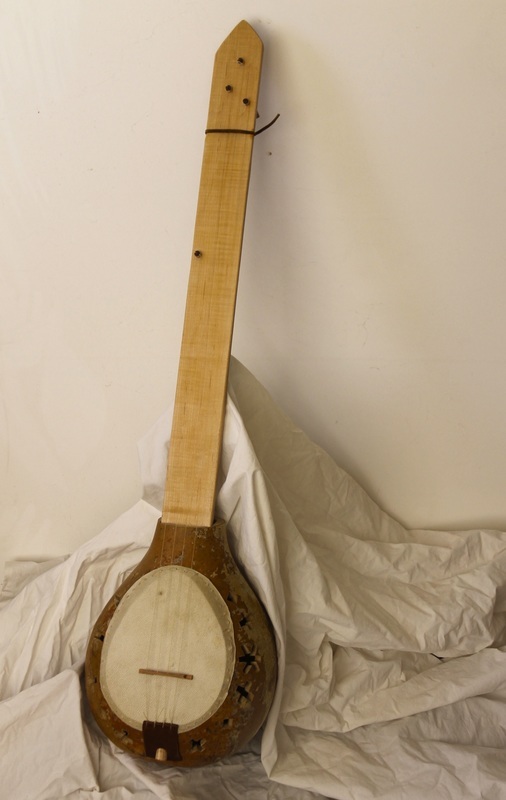 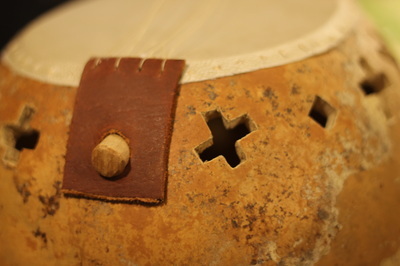 In the most faithfully historic versions of this banjo, it has a leather tailpiece and a leather thong "nut."